You can quite easily set up an eBay store and sell things. It allows you to do things such as keep a stock of items and have your adverts renew themselves automatically after thirty days. The problem is that you are stuck with promoting your shop and your items on eBay alone, and there are probably lots of other people offering your goods for less money. So how can you possibly make it a bit more of a level playing field? You can use your blog to promote your eBay shop, and here is how. This will help to push your items further up Google’s search results. It is true that some of your traffic comes from Google. People who are looking for very specific items are likely to find your items on eBay. Very few eBay stores and eBay items have links pointing to them, so it doesn’t take very many to get your item listed higher in Google‘s search results. In addition, if your store has a renew feature that automatically starts the advert as soon as it expires, then you can keep the link pointed to the advert for a long time. This re-new feature is how people are able to have those little “sold” numbers next to their stock levels on the eBay advert description page. Adverts that have been running for years may show that they have sold hundreds of their product. Do deep and in depth reviews of your products, but you need to remember that this is not an advert. This is a cold and frank look at your product, but with a bit of a positive twist to it. If it comes across as promotional, then nobody will read your review at all. You cannot do things such as review your intermediate model and say it is great, and then review your deluxe model and say it is great. You are better off creating a structure to your reviews. This structure can involve statistics and should involve categories, such as a “feel test” or a “quality test” or section with comparisons with other items of a similar ilk. If you structure all of your reviews in the same manner, then it will be a lot easier for your viewers to read numerous and judge your products appropriately. Integrate the social media into your blog so that you can promote your blog on social media. That way you will get more viewers that you can direct to your eBay store. Your blog posts should not be promotional, but you can tell people why they want your products. Think of it as if you were their friend talking to them in a bar. In such a situation, you would not promote the item or service, but you may talk about it with some reverence. You may see it in more positive terms than in more negative terms. You may also be quite enthusiastic about it too, which is fine, just so long as you are enthusiastic like a consumer; and, not enthusiastic like a car salesperson. This is not as difficult as it seems. There is web coding that will allow you to set up purchases on your blog and have it wire though your eBay store. 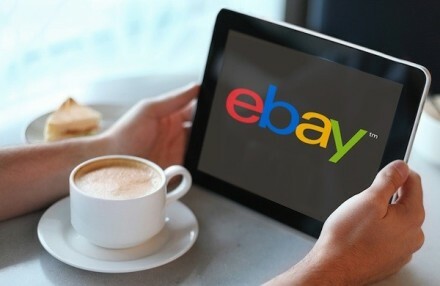 You will need to inform the user that he or she will need an eBay account in order to see the purchase through to conclusion. In a sense you are selling with eBay, but you removing the competition. If you were to send people to your store, then what is stopping them from looking at other people’s goods too? If they buy it within your blog, then the only items they see are the ones you are selling. Your blog can have an RSS feed that will tell people when you have posted a new blog post. But, you can also tell people that you will keep them informed on new products if they sign up for your RSS feed. You can write full blog posts every time that you release a new product. The blog post will serve as way of informing people of a new product. You can also tell people via the RSS feed that your blog post is about a new item, which may entice people to have a look at that post in particular. Just make sure you include lots of pictures in that post particularly. There is a certain segment of the online community who will shop on eBay if they are encouraged. You need to locate this niche (it is a big one) and then identify your market within it. You really need to get into the minds of these people and try to attract them with your blog. Do not overlook the obvious things, such as if, your clientele are over the age of fifty then there is good chance that they have a mortgage and it is unlikely that their kids are still babies. Consider just telling your viewers to follow the links. You may not have to be as subtle as convincing your viewers to go and buy from you. Just tell them that they should follow your link and buy something. You can use a bit more marketing tact if you like, but try being blunt one week and see if it works better for you. You can use the blog to engage your viewers and the comment section to gauge their reaction and to communicate with them. You can use your comment section as a sounding board and as a place to test a few marketing ideas and techniques, because you can see a quicker reaction as people reply to you.